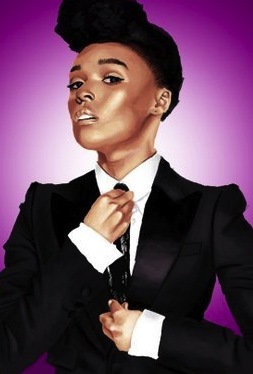 In a celebration of artistry, activism & advocacy The Center will honor international recording artist Janelle Monáe with its Equality Award at the 18th Annual Women’s Event on Saturday, November 7th at Capitale in New York City. Hundreds of guests will join The Center to applaud Ms. Monáe’s support in the fight for LGBT equality & to recognize the contributions of legendary producer Barbara Gaines who worked for David Letterman for 35 years & Citi Managing Director Lisa Davis. The program will also pay special tribute to Edie Windsor of the landmark Supreme Court marriage equality case United States v. Windsor for the historic role she has played in the fight for marriage equality. The Women’s Event 18, an annual gala fundraiser to support The Center’s year-round programs & services for lesbians, bisexual women & transgender people. Over the next year, The Center will launch LGBT-SAINT, a substance use treatment intervention specifically designed for LGBTQ youth ages 13 to 27. The Center will also introduce T:FIRE, a new program of support & empowerment that tackles poverty in the transgender community. In addition to these new initiatives The Center is currently developing programming specifically for women to tackle economic attainment, a substantive issue that particularly impacts LBT women. The Women’s Event is hosted by The Lesbian, Gay, Bisexual & Transgender Community Center’s Board of Directors, Executive Director Glennda Testone, The Women’s Event Host Committee, Honorary Chair H. Gwen Marcus, Esq. & Event Co-chairs Lisa A. Linsky, Esq., Kerryann M. Cook, Esq. & Claire M Shanley.